Talisman making is central to the art of astrological magic. Petitions and invocations are helpful tools, but ideally these practices culminate in the creation of an object into which the astrological configuration is channeled and from which the configuration continuously emits its effects. Unfortunately, the texts are rather silent when it comes to the preparation and creation of talismanic pieces. While some may find this liberating and see it as an opportunity to build a process that is personal and creative, others may find the lack of information uncomfortable for fear of not correctly adhering to a process. Fortunately, there isn't a tradition of ritual for astrological talisman construction to deviate from. Texts often prescribe the material from which the talisman ought to be made, the image to be made on the material, any suffumigation or sacrifice necessary, and the astrological configuration under which the image should be made onto the surface of the material. These requirements should be followed as closely as possible with proper substitutions when they cannot be, but what is actually done is mostly left ambiguous. If you already have a magical or ritual practice, then astrological magic will likely come easily to you since it can be woven into what you do already. An astrological talisman can be utilized for almost any purpose, but it isn't something that can just be willed into existence at the drop of a hat. It has to be planned for and the first step in planning is figuring out what purpose to pursue and which entity can bring it to you. Astrological magic is divided into a pseudo-pantheon of celestial spirits and figures (7 Planets, 15 Fixed Stars, 28 Lunar Mansions, and 36 Decans) who are aligned for specific purposes. Some are unique, some are more general, and there is often significant overlap to provide options should one's first choice not be available. While such a list may seem overwhelming, the more options there are, the easier the next step becomes. Astrological talismans are dependent on astrological configurations. Timing is crucial in getting what you want and making it effective. Constructing a solar talisman at some random time in the middle of the night is not going to be near as potent as one created at a specific time when the Sun itself is astrologically emphasized and strong. This requires some familiarity with the process of electional astrology, which seeks to find astrologically auspicious times to do or begin something. You don't need to be an expert in elections to practice astrological magic, though. An easy way to tap into planetary energy is to create talismans, execute petitions, or enact some ritual during the planetary day and hour. These occur in a set order which always sees the planet that rules the day simultaneously ruling the hour at sunrise. This means Sundays at sunrise are simultaneously the day and hour of the Sun. Sunrise on Wednesday is both the day and hour of Mercury. This is a solid initial step for working with planets, but the fixed stars, lunar mansions, and decans require more specific astrological configurations that do not adhere so easily to the days of the week or Gregorian Calendar. For these, it will be necessary to familiarize one's self with the method for selecting the right times, or find an astrologer who can do so for you. Following Medieval Astrology Guide on Facebook or Twitter can be an alternative, as we often showcase upcoming talismanic elections and discuss their use. Because we are at the mercy of planetary motion which we can do nothing about, having many options can be helpful when it comes to finding a configuration we can work with in the near future. Certain celestial positions of the planets or the configurations with stars can make working with specific things difficult. Doing a Sun talisman when the Sun is in Aquarius is not advised, nor is working with a Lunar Mansion if Saturn is currently in it. If the Sun or this mansion are the only things that meet your needs, you have to wait. For this example, let's say we're using this election for the Third Lunar Mansion Al-Thurayya. The materials are an important consideration in talismanic construction. There are actually several different pieces that most astrological talismans require to get the full effect. All material objects in the world are part of celestial chains that connect to a planetary ruler. These specific things are referred to as sunthemata. Gold and the Sun, for example, share a spiritual connection, therefore gold is a sunthemata of the Sun. It's important that the material used in constructing the talisman matches its purpose or core. Using solar material in a solar talisman resonates more harmoniously with its purpose and it is much more potent as a result of that. The seven planets as multifaceted beings are represented much more heavily in the physical universe. All things relate back to at least one planet. This makes working with the planets a bit easier as they allow the practitioner to exercise choice. Saffron is a solar herb, but if an individual lives in a place where obtaining saffron is difficult or otherwise prohibitive then there are several other herbs that fall under the Sun that can be substituted. This is very different from the lunar mansions or fixed stars which may have only one or two plants and stones associated with them. The first thing to consider is what form the talisman is going to take. Will it be a ring, pendant, or some other form of jewelry to be worn? Will it be a paper card-like piece? Will it be something more decorative and have a fixed location in the home? The choice here comes down to preference. After this decision has been made, the material must be selected. Will it be metal? Each of the seven planets is associated with a classical metal (Saturn and lead, Jupiter and tin, Mars and iron, the Sun and gold, Venus and copper, Mercury and quicksilver, and the Moon and silver) and these can be potential material to utilize. Lead, tin, and quicksilver are not recommended though. Silver, as the metal of the Moon can be substituted for any planet and can be much safer and more affordable option. The same is true of glass. Stones and gems are other talismanic options. 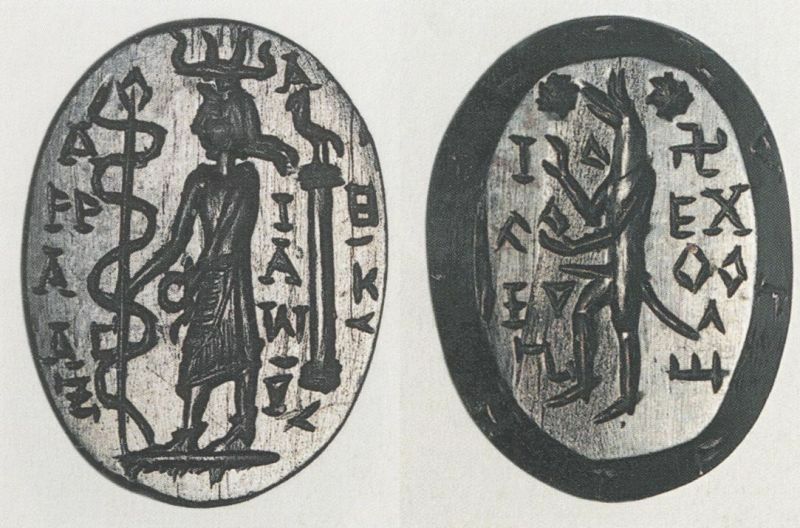 A common historical method of talismanic construction was to engrave symbols and images into appropriate gems. Paper or canvas can also serve as vessels for astrological magic, though they seem to be less potent and less permanent. This can be a great way of getting started and testing what does and doesn't work. Though historical texts typically describe talismanic pieces as being made in plates or rings of gold and other precious metals and adorned with precious gems, the astrological configurations that one would want to encapsulate in such permanent works of art are quite specific and rare. The fixed stars, lunar mansions, and decans do not normally have metals associated with them. The stars are usually paired with a stone or gem and engraving on or making a ring with these stones can serve this purpose. The lunar mansions - as more inherently lunar - are best employed through mediums of silver and glass. The decans are somewhat more solar and can be harnessed in gold or bronze. There is also a system of planetary rulership of the decans and using the material of the ruling planet is also sufficient. After you have determined what your piece is going to be and what it is going to be made of, the next thing to consider is what you are going to put on the piece. These symbols or pictures are usually referred to as the "image". The planets have a wealth of symbolic imagery associated with them. They range in complexity from the fever-dreamish images found in the Picatrix and other occult texts to something as simple as their planetary glyph. The fixed stars, lunar mansions, and decans tend to have more complex images associated with them, but the stars also have simple glyphs that can be utilized and the lunar mansions may have something similar. The final consideration is the suffumigation. This word is used a lot in occult texts and refers to the incense or other type of burnt offering. Suffumigation is usually regulated only to plant matter, but sometimes the fur or trimmings of animals are prescribed. As you may have guessed, the planets have a wide array of potential plants to use as suffumigation, while the fixed stars and lunar mansions tend to have one or two specific plants assigned to them. An additional consideration to take into account - if you like - is the presence of additional sunthematic materials. The more sunthematic objects gathered together of the likeness of the celestial entity being invoked at the time of the ritual, the more powerfully the talisman takes in the astrological configuration. Having a multitude of material that is related to Venus present during the creation of a Venus talisman results in a stronger spiritual presence and more effective piece. For our example of creating a Third Lunar Mansion talisman for health, the practitioner would use silver, glass, or paper as a medium, the image of the mansion is described as a woman holding her right hand over her head while seated, and the suffumigation prescribed is musk, camphor, mastic, or aromatic oils. For some people, the ritual itself is the fun part, but for others this is the part that is the most difficult. As mentioned above, the source material is noticeably silent on the ritual process. The focus of these texts is almost exclusively on the material being utilized and the astrological timing. What one does once they step into the sacred space is not discussed. The ritual is something that is very personal to the one performing it, but there are some steps that can be taken to help things go more smoothly and make sure that all the necessary steps are completed. Ideally, there are four parts to a ritual. The opening portion of a ritual is when the practitioner sets the space. This can be something as mundane as just setting up the workspace by making sure all the necessary materials and literature are present so the practitioner doesn't have to leave to retrieve anything during the ritual. For many with an existing practice, this is the part where they might create a circle by summoning representatives of the directions or elements. The space in which the ritual is going to take place should be made sacred in some sense, even if this is just an intention set within the mind of the practitioner. The invocation is when the ritual begins. This is when the specific celestial spirit being worked with is called upon. Thankfully, there are invocations present in the tradition that one can utilize. For planetary talismans, there are invocations written to each planet in the Picatrix that can be read aloud. There are also Orphic Hymns to each planet that can be performed alongside of or instead of the Picatrix calls. For Lunar Mansion talismans, the calls to the Moon are utilized as we connect to those spirits through her. For the fixed stars, there is a hymn both to Heaven and the Stars which can be performed. Decanic talismans will use the invocations of their ruling planet. Of course, for the poetic or lyrical among us, there is nothing wrong with writing your own. The suffumigation/incense should be lit prior to the recitation of any invocations and kept burning throughout the ritual process. Generally altar candles are also utilized depending on tradition, desire, or comfort level. The incense/suffumigation is extremely important, however. It serves as the symbolic connection between Earth and Heaven or the practitioner and the celestial spirits they are seeking to invoke. It also serves as an animating principle to the talisman itself. After the suffumigation has been lit and the invocations performed (the calls or hymns can be recited any number of times if desired), the ritual proceeds to the crafting stage. This is the main event of the ritual where the talisman is actually created. Ideally, the talisman's creation is completed as close to the elected time as possible. When creating a talismanic electional chart, the astrologer generally selects the most auspicious moment to cast the chart for. In most cases there is some length of time within which the entire process can occur. This can be anywhere from five minutes to over an hour depending on the astrology being worked with. Our example election above is set for 10:42 am and is actually set more towards the end of the timing window. The emphasis on this chart is the Aries Ascendant and the Moon's aspect to the angular, dignified Saturn. Even though this chart is set for 10:42, the planetary conditions are right to create a Third Mansion talisman anytime between 10:11am and 10:51am. This gives the practitioner 50 minutes within which the talisman should be completed. What it means for a talisman to be "completed" can vary depending on how the piece is being created. Metalworkers and jewelers tend to aim for the moment when the liquid metal enters the mold and obtains its shape. Some choose for the moment when they set a stone inside a ring or pendant. Engraving and etching stones or glass can usually be completed pretty quickly since the symbols being engraved tend to be small and relatively simple. Paper talismans can have their images printed and completed in a moment. Those that prefer to draw the images can aim for completing the outline of the image and including the symbols during the window. Adding detail and color to the image can occur during the creation window or at other appropriate times afterwards. Once the piece is completed, it is usually waved over the suffumigation smoke and prayed over or set with its intent. This is the part where the maker informs the talismanic piece of its job, function, or goal. The astrological election and image used should help to inform that function, but it is important that the request be explicitly made. At this point, the crafting state is complete. Finally, we move into the closing stage. After the piece is introduced to the suffumigation and the request to it is made, we do not add more to the suffumigation and allow itself to burn out. It's common to express gratitude towards the beings that were invoked and perform any sort of dismissals that may be native to any preexisting magical practice. Usually, the practitioner spends some time meditating on the image of the piece they have created in order to help facilitate something like a psychic or spiritual connection with the piece and the fragment of the celestial spirit inside of it (or however one chooses to describe what it is). The practitioner may leave the space once this is completed, but the talismanic piece should remain until the suffumigation is spent. Offerings may be given or left out in accordance with the practitioner's desire or tradition. Once the suffumigation has burned itself out, the talisman may be moved to wherever it will be housed. A talisman's house refers to the location where it will be kept. This will change depending on the type of talisman and its function. Because we created a Third Mansion talisman with the focus on healing we would house it on the body of the person it was made for (if possible) or placed in their bedroom. Talismans for wealth can be stored with financial documents, blank checks, or in our wallets. Protective talismans can be stored on the body (if possible), in vehicles, in prominent places in the home, or wherever else one feels they are in danger. Lunar mansion talismans should not be housed in places that experience direct sunlight. Talismanic maintenance is about reinforcing the relationship between the talisman, the celestial entity it represents, and the practitioner. Talismans are much more potent when this relationship is explored and deepened. A maintenance ritual is typically an abbreviated creation ritual. They involve reintroducing the talisman to the suffumigation used during its creation (it's also a good idea to save and reuse any candles from the creation ritual), reciting the invocations, and a brief meditation with the talisman before the practitioner offers some sort of thanks or offering to the talisman so that it continues its workings. Talismanic maintenance is not absolutely necessary, but the effects of the talisman tend to weaken and fade without them. The maintenance schedule also changes based on the type of talisman. Planetary and Decan talismans are best recharged weekly, during the planetary day and hour of the planet for whom the talisman was made or the planetary ruler of the decan. Lunar Mansion and Fixed Star talismans are best maintained once every 28 days when the Moon returns to the position of the Mansion or Star. In most cases, talismans are not meant to be permanent. Eventually they complete their goal and are no longer needed. Talismans made out of more enduring or expensive materials may have their goal changed in an additional ritual. Even paper talismans if properly kept can be re-purposed if the new goal is within the power of that celestial entity to complete. However, talismans that have been damaged or are no longer needed should be disposed of. Another reason why a practitioner may want to destroy a talismanic piece is that they suspect the piece is having adverse or unintended effects. This would most likely stem from some error in the astrological election, petitioning an entity to do something that is not within its power to complete, or an incorrect match up of materials. The best way to dispose of a talisman is by destroying it physically. Paper and canvas talismans can be ritually burned, glass talismans can be shattered (safely!) and jewelry can be smashed. Another, less destructive, option is to throw the piece into running water. Talismanic pieces should not be buried. The combination of astrology and magic is a potent mixture. Astrology provides magic with more depth and power while magic gives astrology another method of utilization. The practice can be deeply rewarding on both a material and spiritual level and it just takes a little bit of experience for most to begin to feel comfortable working on their own. After creating a talisman, it's helpful to start a journal or other type of note keeping device that details how the practitioner is experiencing or noticing the effects of the talisman they have created. This allows the creator to keep a record of different events and how it aligns with the talisman's goal. It also helps to keep track of things that did and did not work over time so they may make adjustments for the next time. Astrological magic, like any other skill, requires practice and patience to fully grasp. Every lesson learned during the creation process of one talisman helps make the next one easier and more rewarding.